a sante mess ze gavzav. n'z mor d male mort. l'anm e meij ze raccmennat. k n mor d male fin. che d Dij e du nostr Signor. The church of S. Angelo than mons. 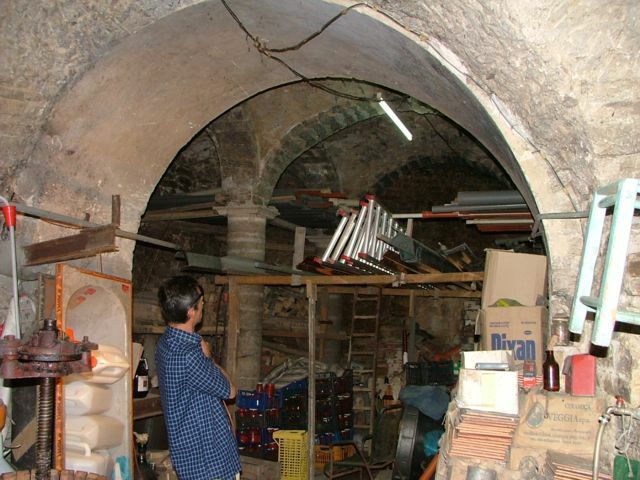 Eustacchio indicates super ipsam portam maiorem and that is to say in the present shop of hardware of the Mr. Antonio Cornelio. Disgraceful the abandonment aside of the Supervision molisana.